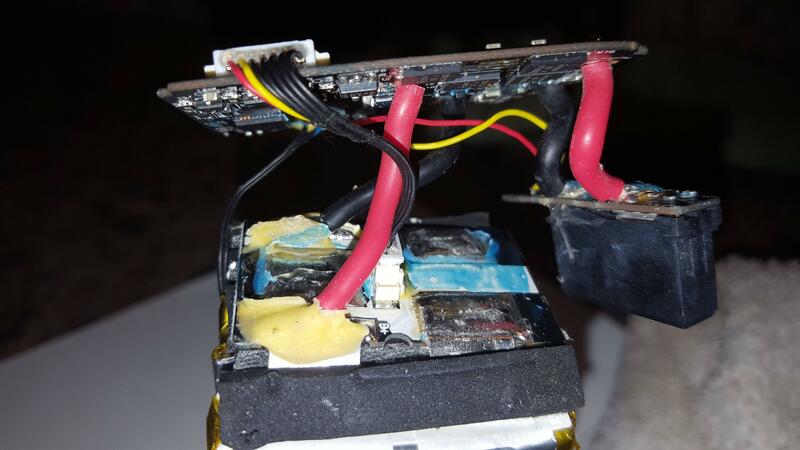 I am interested in doing a DIY battery project to improve the margin of flight safety. 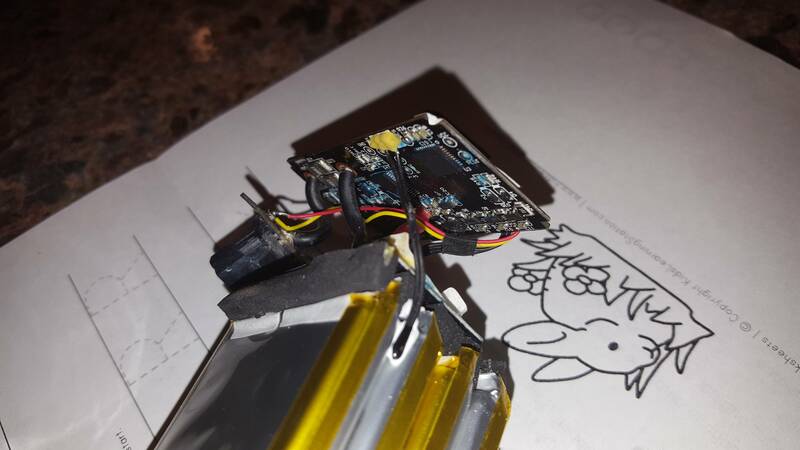 I have seen reports of "P3 dropped from the sky" in which an analysis showed the battery voltage dropped dangerously low (close to 3 volts) while the capacity display showed enough energy for a safe landing (somewhere in the 30% range). 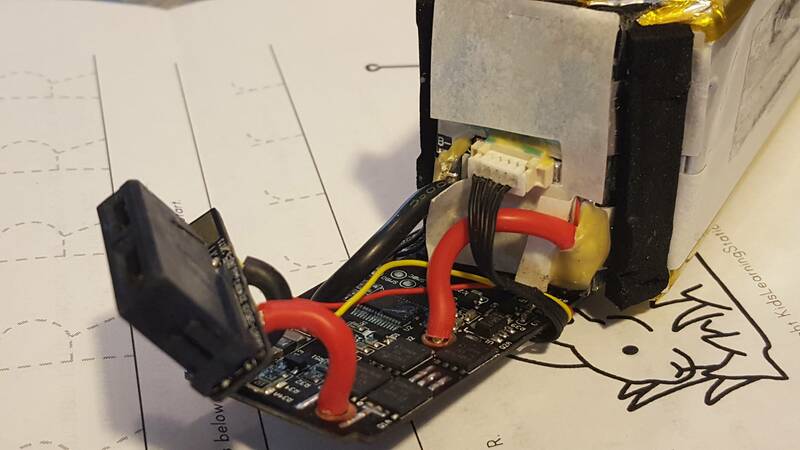 DJI doesn't publish the algorithm they use to calculate percentage but it appears to be based on the mAh used without considering cell voltage. Because of this it is a good idea to monitor cell voltage in addition to capacity in the DJI GO app. 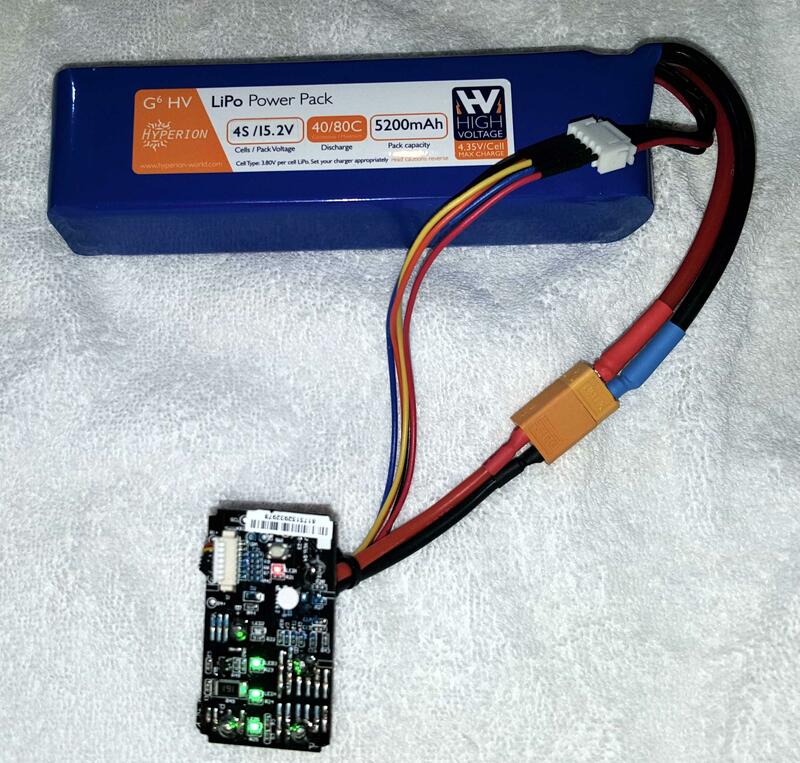 I have done some battery experimenting using a DJI Flamewheel frame with telemetry reporting battery voltage. 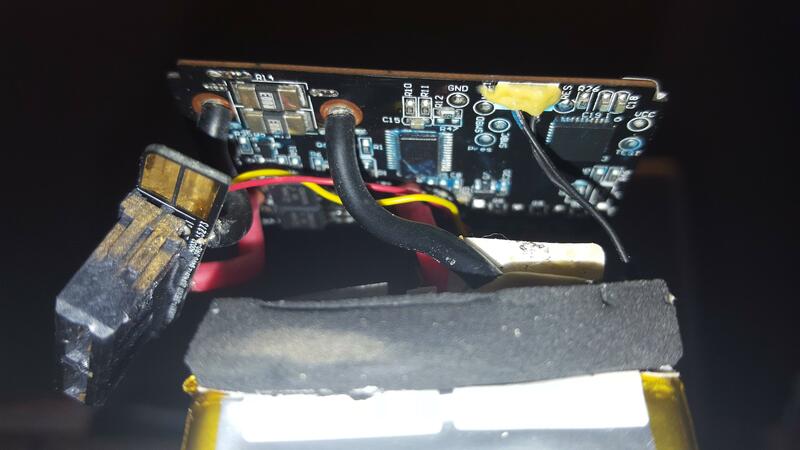 When using a 3S, 4000 mAh, 30 C battery the total voltage stays above 12 Volts for around 10 minutes and then gradually drops to 11.5 over the next 10 minutes, and at that point it quickly drops to 10.5 and it is time to land. 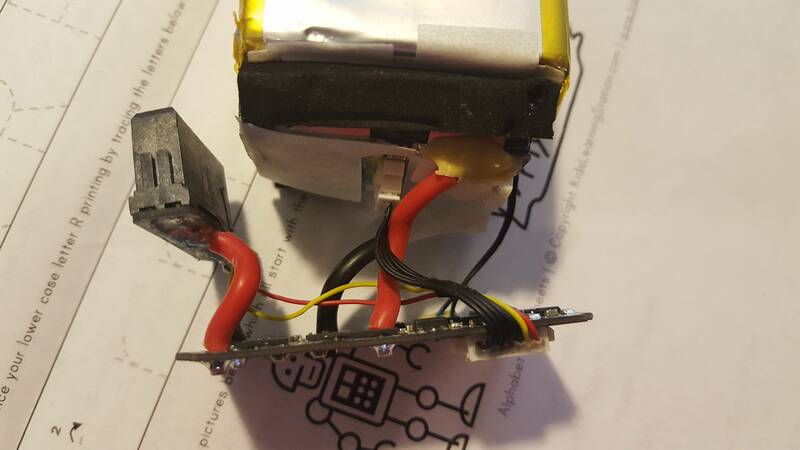 When using a 5200 mAh, 10 C battery the same weight and size, immediately after liftoff the total voltage drops to 11.5 volts and slowly drops to 10.5 over 28 minutes. But I have observed that if I do a rapid ascent even during the first 5 minutes of flight I get an alarm that the voltage has dropped below 10.5 momentarily. This big difference in performance is due to the fact that high C-rated cells have a much lower internal resistance. The 5200 mAh battery gives me 8 more minutes flight time but requires watching the voltage level closely. Obviously using higher C-rated batteries would provide a substantial margin of safety. 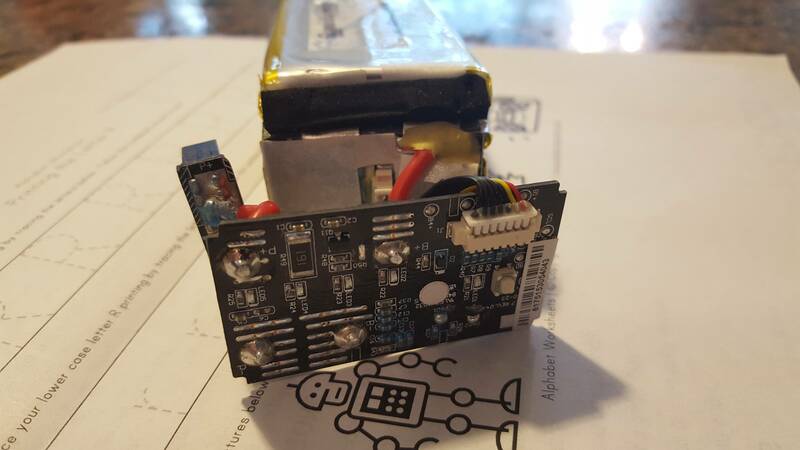 I'm looking for information on the internals of the DJI battery. If anyone has disassembled a battery I would be very interested in seeing the internal wiring. 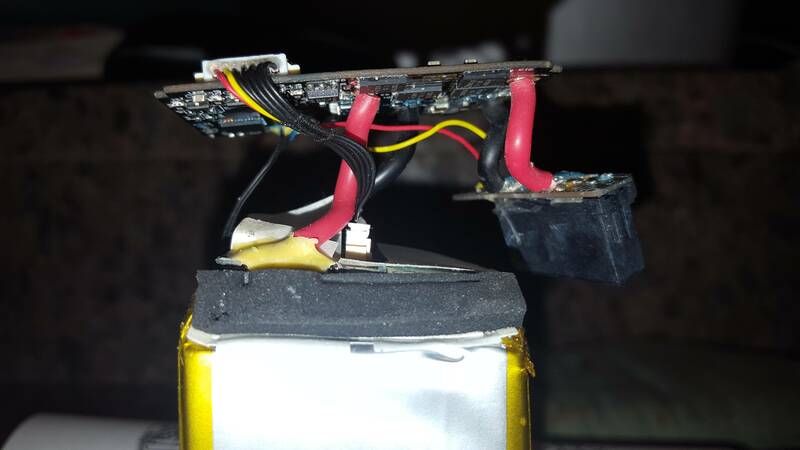 It should theoretically be simple to remove a spent DJI battery pack and substitute a high quality, high C, 4S pack in its place. Of course the fly in the ointment is that higher C-rated batteries are bigger and heavier. But I would be willing to use a lower mAh, high C battery that would provide shorter flight time in exchange for a much higher margin of safety. 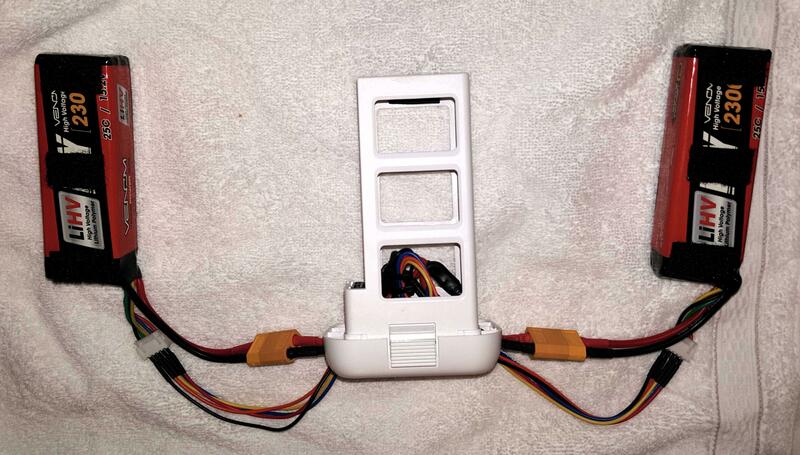 An alternative would be to leave the P3 battery case empty and mount two, 2S batteries outboard on the frame. Another advantage of the DIY project would be much lower battery cost. As an example, a set of two Nano-tech 2S, 5000 mAh, 25-50 C batteries would cost around $45 US. They are noted for low internal resistance. 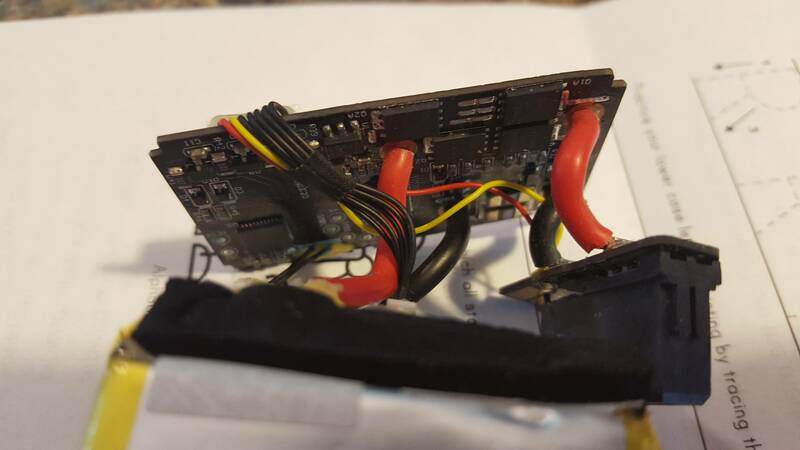 I'm looking for information on the internals of the DJI battery. If anyone has disassembled a battery I would be very interested in seeing the internal wiring. I dont think it will work. 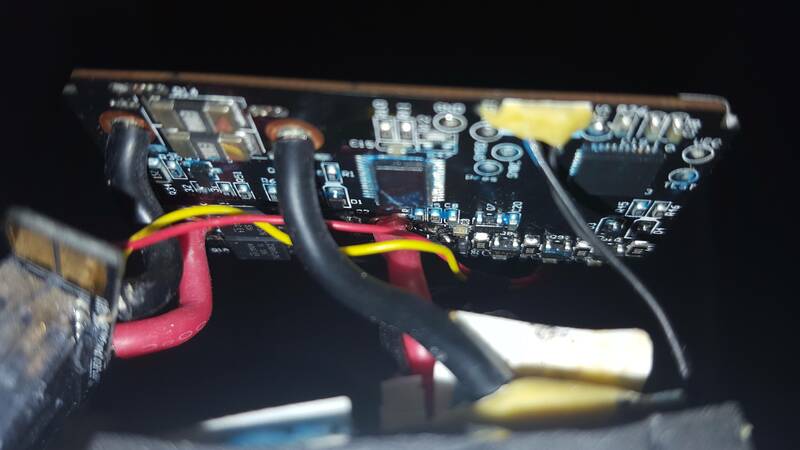 If you connect a regular lipo directly to the phantoms connector, I seriously doubt the phantom will take off, as it will expect data from the "intelligent" part. 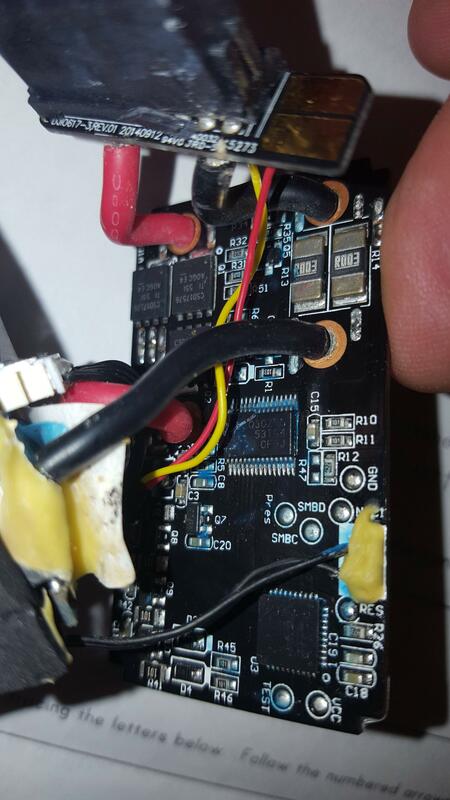 See also the non DJI batteries that for a while didnt work (despite reporting voltage, cycles, etc). Feel free to try, but Im pretty sure. You'll need to duplicate or recover the electronics of the battery. That aside, I dont know what cells DJI uses, but I will give them the benefit of the doubt of having done the math and selected as low C rating as is safe. 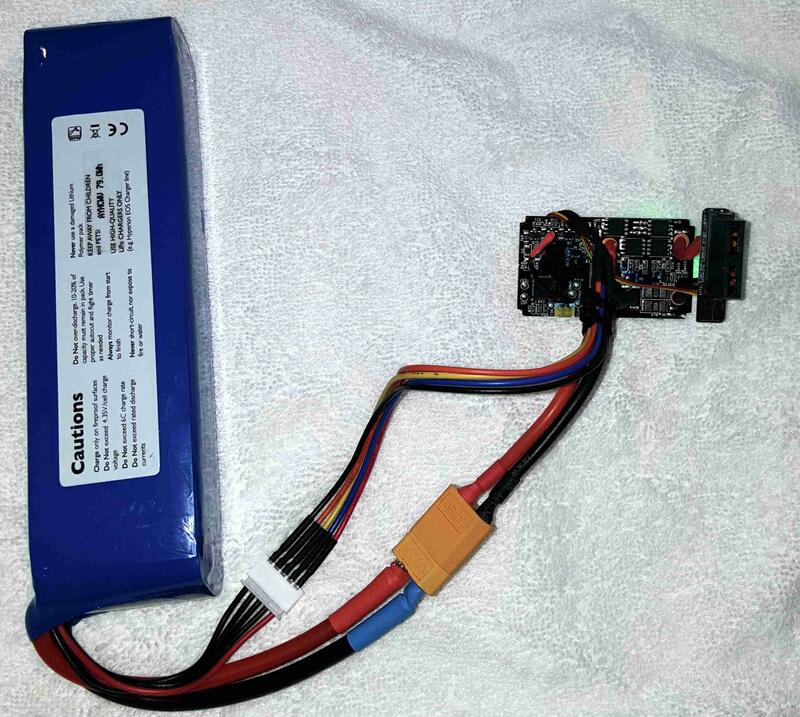 Further evidence of that is the weight; the battery weighs 377 gram (including hard case and electronics) for 4,5AH 4S. That is 84.1 gram per AH, pretty good. A turnigy multistar 4S 4000mAH 10C weighs 320 gram. That is 80 gram per AH, barely better, and Im not sure 40A is enough for a phantom. Ive seen peaks of 60A in log files. Theoretically the multistar can do that (20C for 10 seconds), in reality it doesnt and the 10C should be considered peak rating IMO. TL DR, even if you could do it, which I doubt, there is very little, if anything, to be gained. 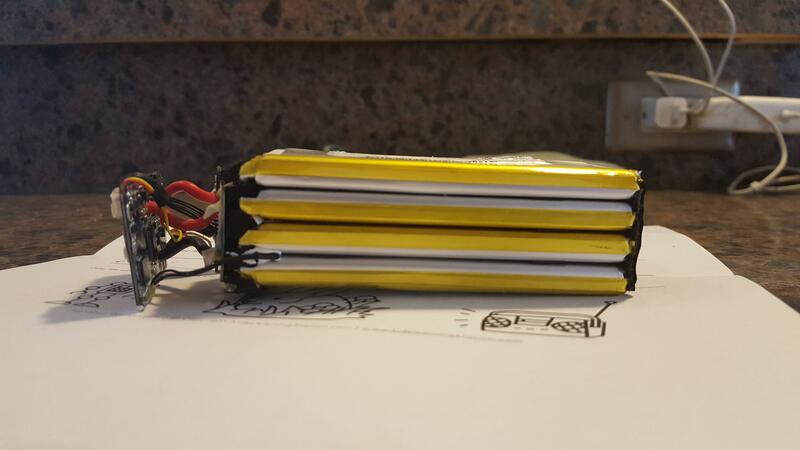 If you want to save money on batteries, buy the banggood clones, Im happy with mine so far. head over to the dual battery thread. some guys experimented with things like this .. similar to what you are talking about. you need to hook it up to the smart circuit board. Thanks for this info. Looks like exactly what I am thinking about. Someone has already been there, done that. @Digdat0 , thanks for the photos. 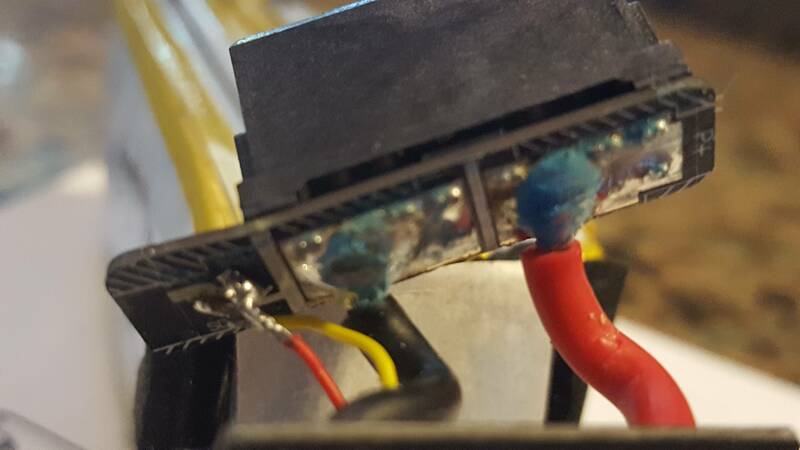 Looks like the balance leads are easily tapped at the white connector. 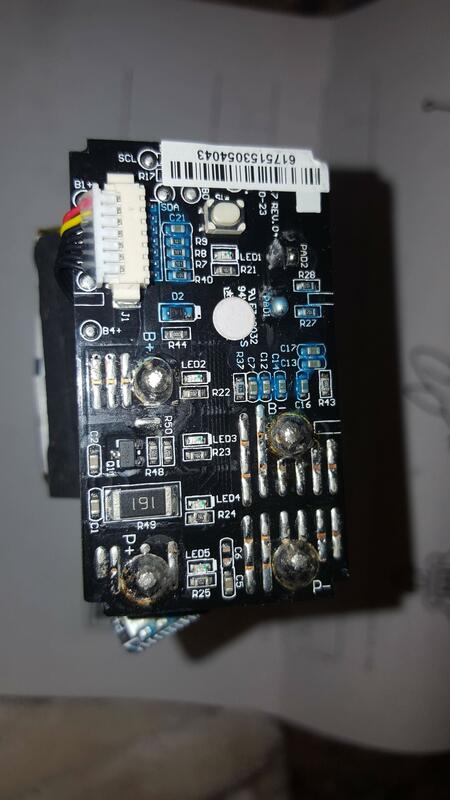 @Vertigo, I realize I would pick up a few ounces with a 25 or greater C battery but that is minor compared to the mods that add two packs outboard in addition to the DJI batt. Not looking to save money on batts. Rather looking to improve the safety margin.